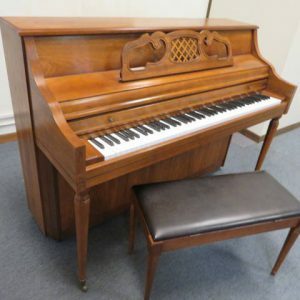 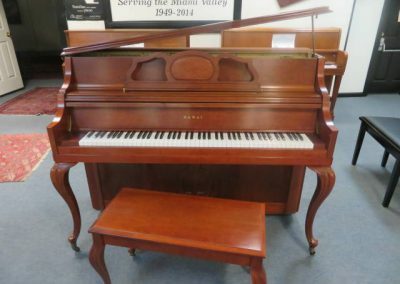 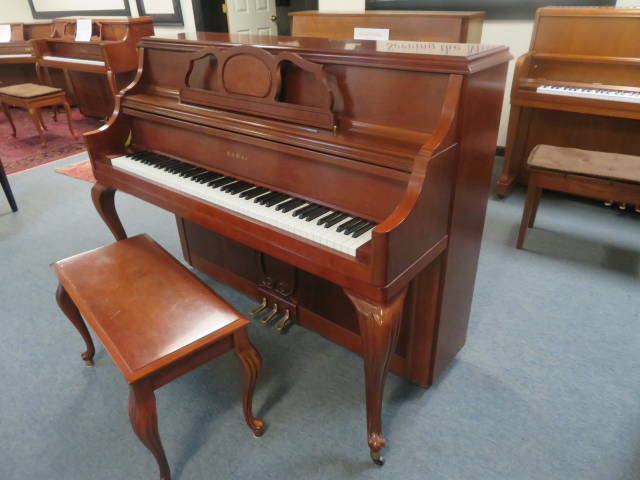 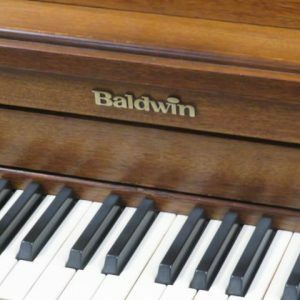 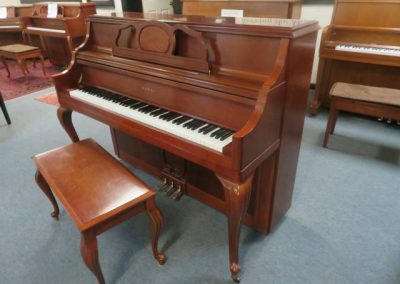 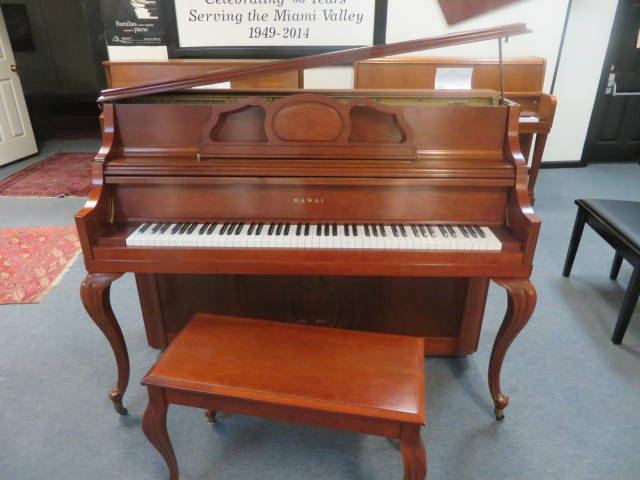 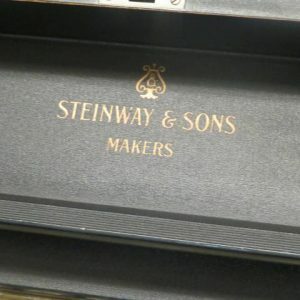 Kawai 47″ Professional Upright Piano with matching bench (serial #A97646) built in 2000.This Kawai upright was Rarely Played in a home environment and was beautifully maintained. 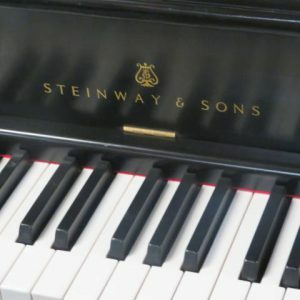 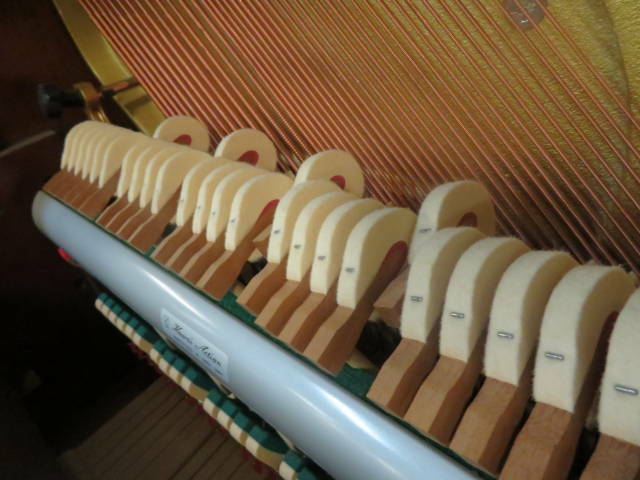 The piano has been professionally concert tuned and sounds fantastic. 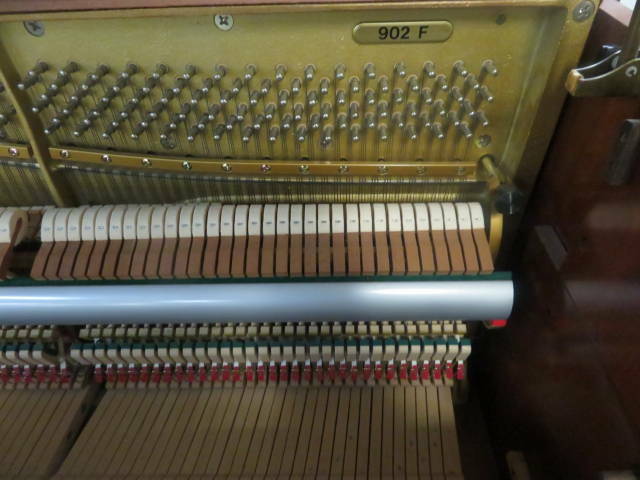 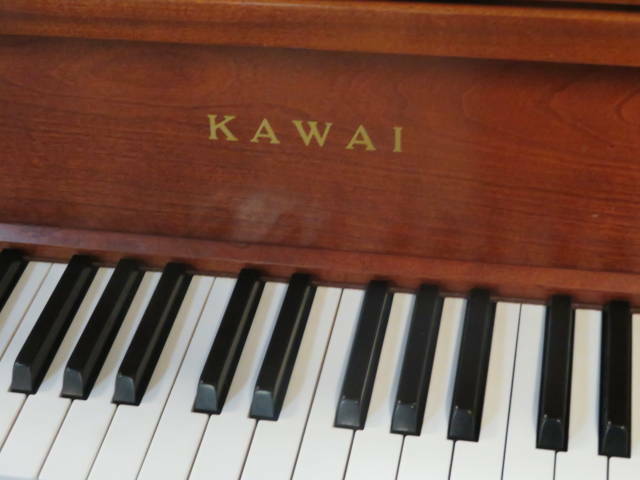 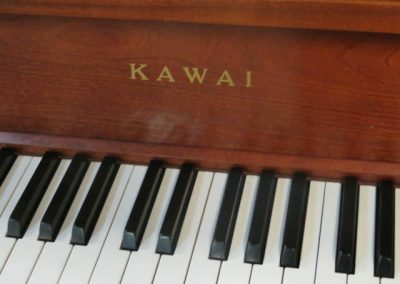 This Kawai professional upright is in Superb Condition inside and outside. 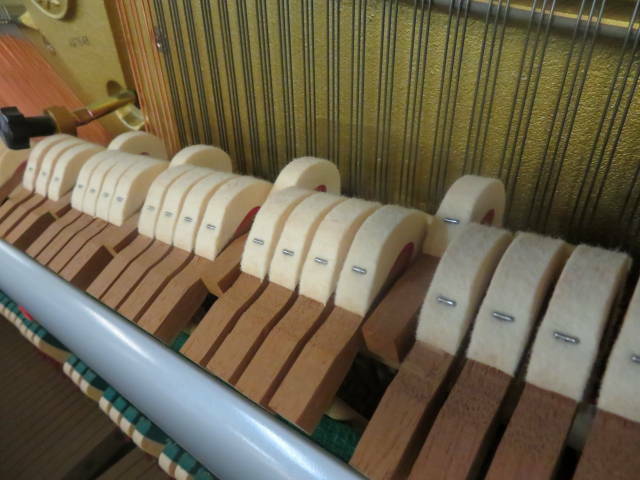 The the middle pedal is a Mute Pedal which softens the sound so you can practice quietly. 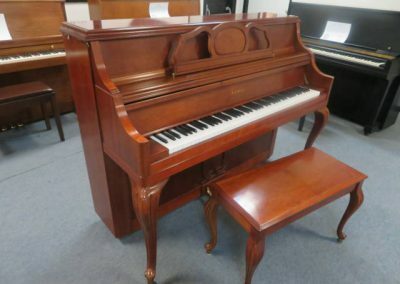 The designer case is beautiful French Cherry and is in Superb Condition with a Grand Piano Style Lid. 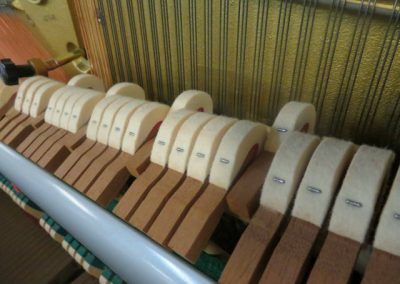 ACTION: (hammers, keys, shanks, dampers, flanges, whippens) The hammers and all of the action parts are in Excellent Condition. 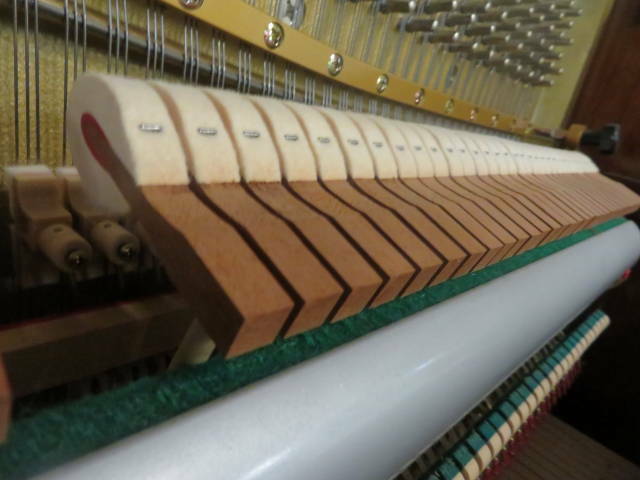 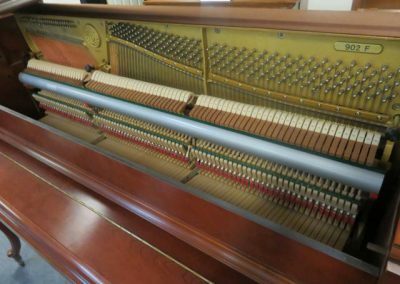 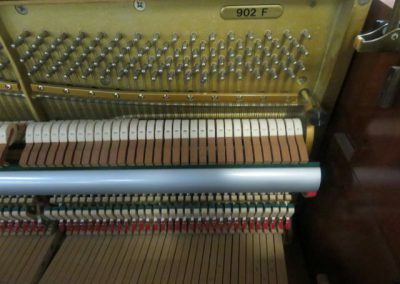 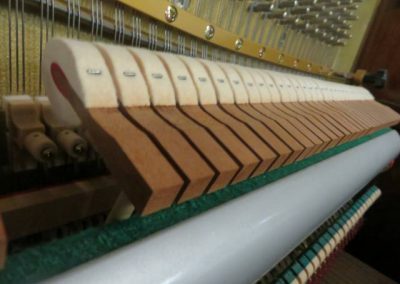 BELLY: (soundboard, pin block, bridges) The soundboard is in Excellent Condition and the piano holds tune perfectly to A-440 standard pitch. 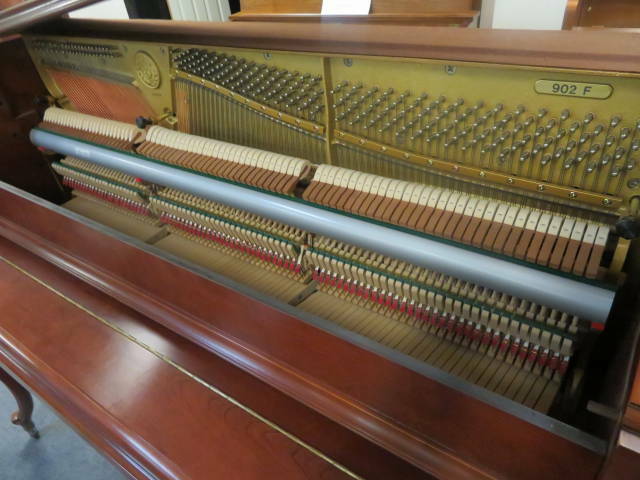 The bridges all all original and are in Excellent Condition. CASE: The designer case is gorgeous french cherry and is in Excellent Condition.